This past summer was the season of ransomware. Too many unprepared businesses fall victim to this malware and struggle to retrieve their lost data. Your business can avoid ransomware with the proper preventive measures, saving you stress, time and money. In case you don’t know, ransomware is a virtual threat that installs on a victim’s computer and makes their files completely useless. To restore your data, the attack demands a ransom payment in exchange for the decryption key. Ransomware develops to exploit weaknesses in a business’ network or server. This is why it’s important to know how you can keep your files safe. 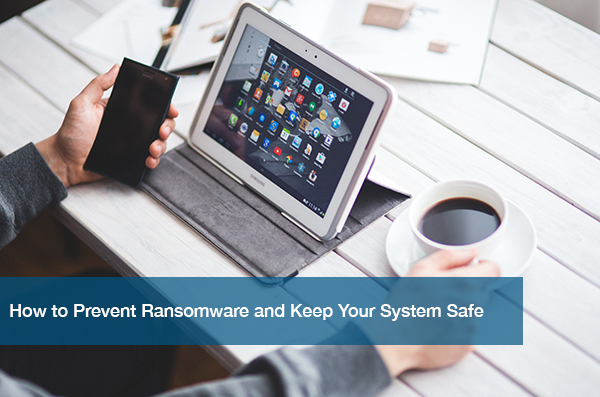 If your business has the proper security and backup in place, you have a higher chance of avoiding ransomware. Many users still trust links or attachments they may be unfamiliar with, which places their data at risk. To make sure you aren’t opening anything that could harm your system, you have to do a few things. First, you must verify email sources to make sure you are talking to the right person. Additionally, bookmark your most visited sites. Also, be sure to use caution when opening unsolicited emails. Making sure all software on your system is up-to-date is super important. Patch all systems as soon as updates come out, and make sure you have safety software in place. If your software is vulnerable and outdated, your information is more at risk of getting hit by virtual threats. Back up your data! The single most important factor that will help you beat ransomware. Simple enough, yet many still don’t see the importance of updated backups. Even if ransomware attacks you, all hope isn’t completely lost. If your files are tucked away and safe someplace else, you’ll be okay. At ITC, your business’ security is top priority. Nobody is completely immune from IT security threats. This is why you need a system in place that you trust will keep your information secure. To learn more, check out a previous post titled Why You Should Have Preventive IT Measures. You shouldn’t have to worry about online threats jeopardizing your data. Contact us today to learn more about how we can help your business with computer and network security.